This past July, Fairfield University students, with the Center for Faith and Public Life, traveled to Dar es Salaam, Tanzania and Machui, Zanzibar for the service learning course "African Politics." Dr. Jocelyn Boryczka, associate professor of politics, led students Riley Barrett '17, Adrienne Sgarlato '17, Zavon Billups '18, Sarah Greenwood '17, Meaghan Hamilton '17 and Joe Harding '18 on the two-week service learning trip. While in Tanzania and Zanzibar, students participated in service with Loyola High School in Dar es Salaam, where Fairfield University has established a community partnership over the past six years. Students carried out specific research projects ranging from examining gender inequality in education and the role of NGOs in post-colonial contexts, to hip hop as a force shaping youth culture in East Africa. In Dar es Salaam, students participated in two short courses taught by Tanzanian faculty on "African Culture and Theatre" and "Tanzanian Politics." Additionally, students helped to prepare the groundwork for establishing faculty learning communities between Loyola and Fairfield as part of a grant recently awarded by the Benina Foundation to the Center for Faith and Public Life’s Office of Service Learning. "I truly feel privileged to have been offered the opportunity to immerse myself in the Tanzanian culture. The people are remarkably friendly and welcoming. The joy with which they live their daily lives is a beautiful thing that I have never encountered before. Because they made me feel at home, I felt much more comfortable trying to learn their language (Kiswahili) and customs. 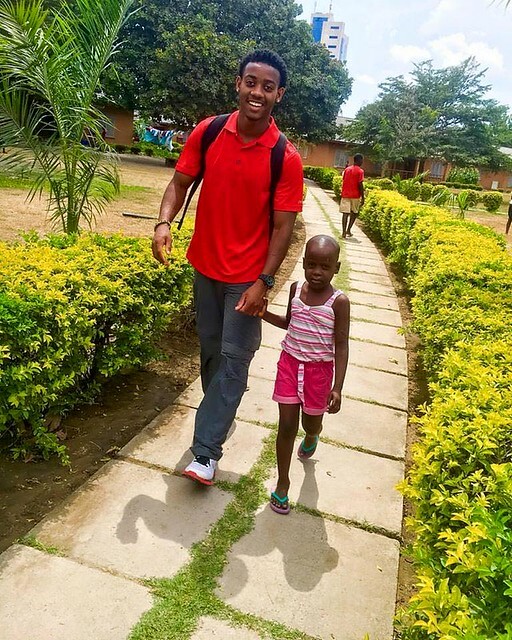 This trip was not about us Americans helping the Tanzanian people “develop” or “progress” in any way shape or form, but about cultural immersion and exchange at its most authentic and pure level," stated Joe Harding '18. Their trip also included exciting adventures to the island of Zanzibar, where they visited Stone Town and Machui, to Bagamoyo and to northern Tanzania where they went on safari to Serengeti to see elephants, lions and giraffes! Photo: Dr. Jocelyn Boryczka at the Day of Service in Tanzania.